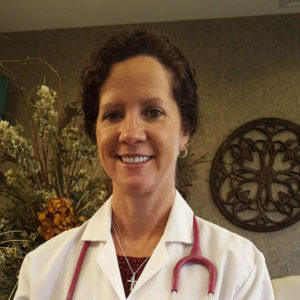 Tammy is a Certified Nurse Midwife specializing in gynecology, contraception, prenatal care, labor and delivery and post-partum care. She received her Associate Degree in Nursing from Marion Technical College, her Bachelor of Science in Nursing from The Ohio State University and her Master’s in Nursing, specializing in Midwifery from the University of Cincinnati. Tammy completed her clinical training for her Master’s degree at Marion Women’s Health Center. She joined the practice in 2014 as a full scope Certified Nurse Midwife. Tammy brings with her 18 years of experience in labor and delivery. Tammy lives in Marion with her husband John. They have four grown children and three grandchildren.